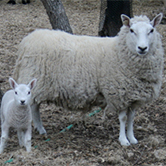 We raise miniature horses and American Miniature Cheviot Sheep in Central Texas. We have a limited number of babies available each year, please contact us if you are interested in a lovingly raised lamb or foal. We have a small flock of registered Miniature Cheviot sheep. They are under 23" in height and have soft, springy wool. They are wonderful pets and natural lawnmowers! We have a small herd of AMHA and AMHR registered miniature horse of all different colors and sizes. 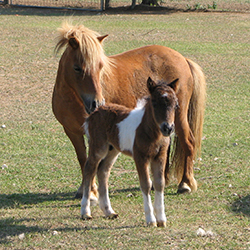 We have a small number of elegant little foals available for sale each year for pet or show.